In my last blog, I started talking about the Toronto Botanical Gardens (TBG), particularly the Entry Garden Walk designed by Piet Oudolf. Although it’s great to have such an illustrious name associated with the TBG, the majority of the current gardens were actually designed and planted by local firm Martin Wade Landscape Architects. And despite some shortcomings, I think the locals have done us proud. As mentioned in my previous blog, the TBG is a botanical garden still in its infancy. It covers only a small area around the entrance to the building, and this is divided into even smaller, pocket gardens. I suppose this is almost unavoidable for public gardens like the TBG whose mandate it is to educate – they try to have a bit of everything in an attempt to satisfy every kind of visitor. Unfortunately, this almost always leads to a hodgepodge of gardens, without any overall sense of purpose or message. How can one tie together a knot garden, spiral mound, kitchen garden, naturalistic garden and a show plants garden, all within steps of each other? Nonetheless, I find there are some real gems among the individual gardens, if one can block out the rest. My favourite area is one where Martin Wade have taken their cue from Oudolf, and found their inspiration in nature. 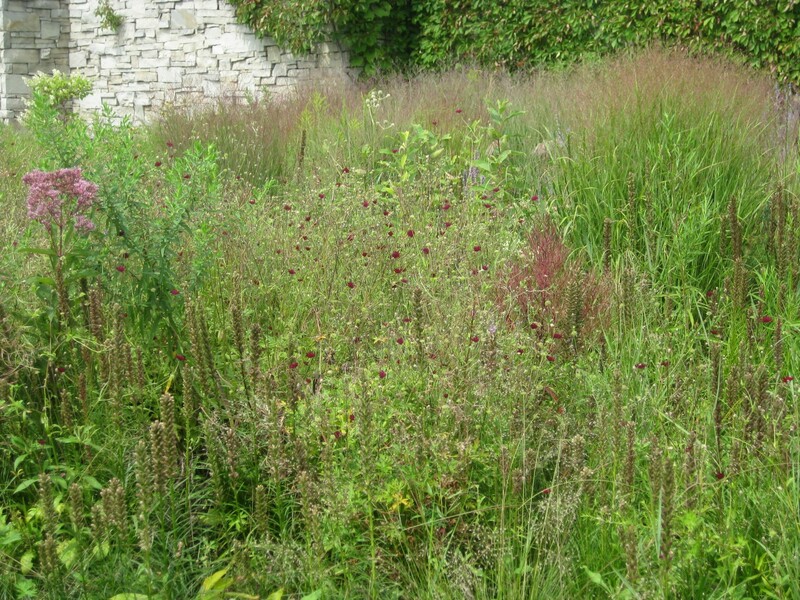 However, instead of Oudolf's pairie, they have used the Canadian landscape as their template. The “nature garden” is meant to recall both the Carolinian forest of which Toronto is the northern limit, and the Canadian Shield habitat north of Toronto. It's a rugged and stony garden, built on a series of berms and punctuated by large bolders. The planting consists of thick groupings of shrubs and small trees, with an understory of mostly native grasses and perennials. The paths are simply lined with wood chips, which has proven to be a surprisingly sturdy choice. Although occupying only a small space, the garden feels quite large thanks to the undulating land forms and the dense shrubbery, which create an effective sense of enclosure and mystery. This is also a garden that manages to look great throughout the year. In the spring, there are flowering trees and shrubs, such as dogwoods and redbuds, in the summer general lushness and spots of colour from perennials, and in the fall, the characteristic vivid foliage of Eastern Canada, found in both grasses and woody shrubs and trees. In the winter, the garden mellows to somber greys and tans, but still provides satisfying structure. Overall, although this garden was created as a very overt nod to 'nature' and to satisfy our current public concern with the environment, I think it is a successful example of what the Canadian gardening aesthetic might look like. I hope it can serve as a model for Canadian gardeners to look to the beauty of their own landscapes for inspiration, rather than always importing garden styles. 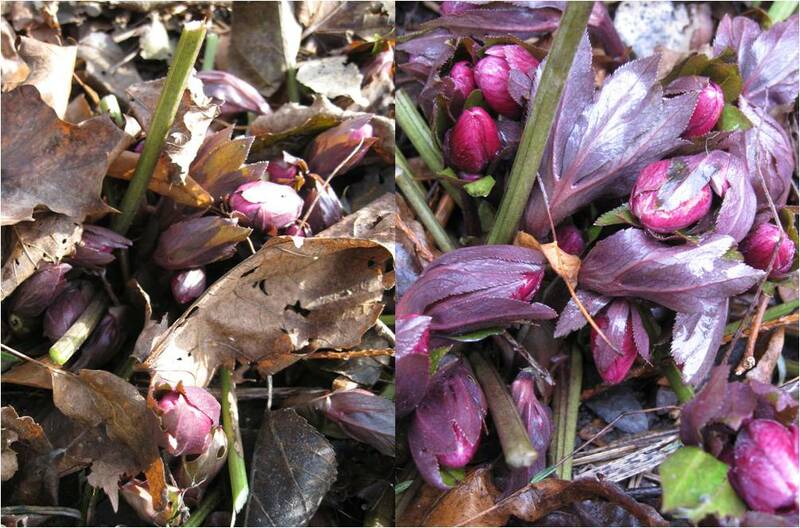 The nature garden transitioning from summer (August) to winter (January). As we have just come through winter, I also can't help but remark how the understated winter appearance of this garden contrasts so radically with the winter garden planted across from it. The latter is maintained by a commercial sponsor (President's Choice), and features their latest assortment of showy or brash (depending on your taste) conifers and winter shrubs. Bigger berries, brighter foliage and more striking variegation are the order of the day in this garden. 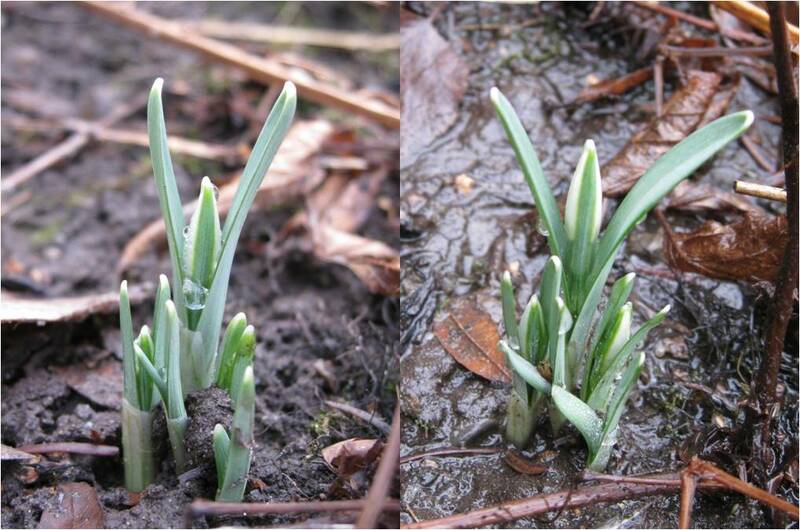 The result is a very bright and cheerful spot in winter, but one that looks exactly the same all year round. I belong to the camp that believes gardens should reflect the seasons, not fight them. In winter, there should be death and decay, greys and tans. How else can we fully appreciate spring when it finally arrives? Still, I don’t want to knock this garden too much – in Toronto, where a snowstorm in April doesn't count as a surprise, one can be forgiven for a few neon evergreens and plastic-like red berries. Another pocket garden that is quite interesting is the Westview Terrace garden, which features a long curved waterway. I’m not a big fan of the colour used for the bottom of this waterway, but from certain angles I can see how it picks up from the building. The planting, however, is quite good, and once again mixes a wide variety of perennials and grasses with shrubs and trees. These are not as ‘wild’ as in the nature garden, but there is a nice mix of relaxed, native grasses and shrubs with more cultivated plants, such as Japanese maples and hellebores. The TBG features many other little gardens, which I have included in some pictures below. There is certainly a lot packed into a little space, maybe a little too much. Still, the TBG offers visitors a unique and engaging garden experience, something many Torontonians are grateful to finally have. The knot garden, featuring a largely white colour scheme within tightly clipped boxwood shapes. The kitchen garden (both pictures above), where traditional vegetables from a different part of the world are grown every year. The spiral mound took quite a few years to get right. The plants just wouldn't take to the steep slopes, and visitors running up and down didn't help either. But finally willows proved most successful - you can see a corner of the latest incarnation of the spiral mound in the first picture of the knot garden above, in the upper right corner. I must say that I didn't quite get the inclusion of the spiral mound in the design, but it's been popular with visitors and especially kids. The Terrace Garden is another one that has proven to be a challenge, with plants once again not taking readily to the sloping growing conditions. Toronto's very hot and dry summers might also have something to do with it. It will be interesting to see what the gardening staff will try here this year. A full parking lot is common on a nice day. It's good to see so many visitors, but I also can't help think of the irony - so much pollution spent to get to a green space and fresh air. Piet Oudolf has done many high profile projects all over the world, but one that you may not have heard much about is the Toronto Botanical Garden. That’s not really surprising since it’s a tiny project for Oudolf. But for me, it’s a garden close to my former Toronto home and therefore close to my heart, and I have greatly enjoyed following its development since Oudolf was first commissioned for the job around 2005. In collaboration with local firm Martin Wade Landscape Architects, he managed to transform an utterly nondescript piece of land (I can’t even remember what it looked like before), to a fresh and complex garden. The Piet Oudolf Entry Garden Walk at the Toronto Botanical Gardens, in January 2013. First, I should explain something about the Toronto Botanical Garden, or TBG. You see, it’s not yet what you might think of as a botanical garden. To date, the physical gardens cover only a few acres, and are actually only the entry gardens from the parking lot to the TBG building. The TBG grew out of the Civic Garden Center, which was where the gardening community of north Toronto got together and hosted flower shows, garden club meetings and friendly educational events. One day, an enthusiastic committee decided that it was time to get more serious and launched the Toronto Botanical Garden initiative. They campaigned and raised funds, renovated the building, established a strong educational programme, and commissioned the entrance garden. But the entrance garden is only a small start. The TBG also sits at the head of Edward Gardens, a large former estate park that follows one of Toronto’s many creeks south through the city. There is a lot of land available here, and if the TBG is ever to become a true botanical garden, this is the place it will have to grow into. But for now, we have an entrance garden, a Piet Oudolf one nonetheless! The garden showing its full glory in early fall 2012. Martin Wade Landscape Architects were the main drivers of this project, and were responsible for the general layout and several of the individual gardens. Oudolf’s contribution was the Entry Garden Walk, a long narrow walkway squished between the parking lot, the road, and the main building. This garden consists of two fairly wide borders that flank a long straight path, with some small lateral shifts worked in for interest. Oudolf really had his work cut out for him in trying to achieve a satisfying and complex garden in this very exposed and narrow space. The plantings are done in his typical flowing prairie style, as one might expect, and were designed around the same time as the Lurie Garden in Chicago and Battery Park in New York. The narrow borders of the Entry Garden Walk. The plant palette is recognizably Oudolf and suits the site and climate very well. It’s an open sunny site, and Toronto has hot dry summers and cold snowy winters. Grasses like Deschampsia cespitosa (Tufted hair grass), several varieties of Panicum and Pennisetum, and perennials like Echinacea (both white and dark wine colours), Perovskia (Russian sage), Knautia macedonica, different lobelias, salvias, asters and many others are right at home here. Although small, it’s a garden I have learned so much from. Every time I visit, I notice a new and wonderful plant, which I must immediately add to my parents’ garden. Some pleasant discoveries have included Calamintha nepeta ssp. nepeta, which requires absolutely no care and always looks great, and Limonium latifolium (Sea lavender), with gorgeous, delicate sprays of flowers over much of summer. But although I have used many of his plant selections as inspiration, I have not been able to copy Oudolf’s incredible sense of design. Proof of this is that every time I go to the TBG with my parents, they stop to admire all sorts of plants and ask if we can’t add them to the garden. When I have to tell them they’re already there, I realize they just haven’t noticed them because they don’t look as good. They might be growing as well, but they just don’t shine in the same way. 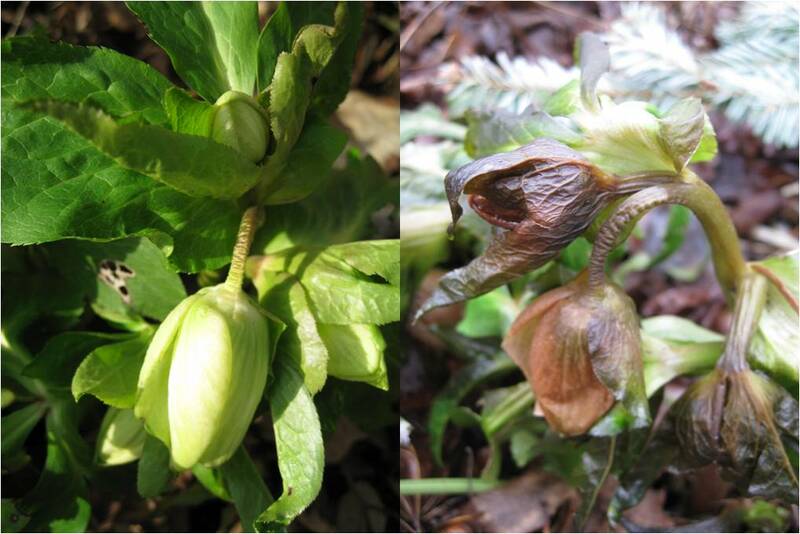 The garden in summer (early August), fall (early October) and winter (early January). The Oudolf garden at the TBG has evolved a lot over time. Unfortunately I haven’t been able to find older pictures to show the garden soon after installation, and all the pictures here are from 2012, six years after the garden was planted. You’ll just have to take my word for it that the composition has become much more intertwined and complex as the years have gone by. Reading the TBG website, I have also learned that the maintenance of the garden included absolutely no deadheading for the first 3 years in order to allow plants to self-seed and form a “sophisticated meadow”. Now the plants are selectively deadheaded or weeded. The evolving sophistication of the garden. Plants are interweaving on all possible planes. Oudolf has also added some unexpected elements to his design, in partnership with Martin Wade. For example, against one glass wall there are three espaliered crabapples, Malus ‘Donald Wyman’, which are planted at an angle. While this may be a common technique in Europe, it’s not something often seen on this side of the pond, and for a long time the TBG got a flood of comments about when the trees would finally be straightened out. The angled Malus trees planted against an etched glass fence are most noticeable in the winter. In the summer, they form one layer of greenery together with the rich underplantings and a row of paperbark maples, Acer griseum. At the entrance to the building, there are also several boldly shaped hedges of mixed Fagus sylvatica (European beech), Fagus sylvatica forma purpurea (Purple beech) and Cornas mas (Cornelian cherry) grown within large metal frames. A very neat concept, which immediately added structure to the entrance area before the hedges were grown. Decideous hedges grown within wire frames make a dramatic entrance to the TBG building in all seasons. Well, that is just Oudolf’s part of the garden, and it’s taken me a lot longer to describe than I thought for such a small garden. I’ll get to the rest of the TBG entrance gardens in the next blog – although small, they are home to some bold new design approaches and interesting plantings.